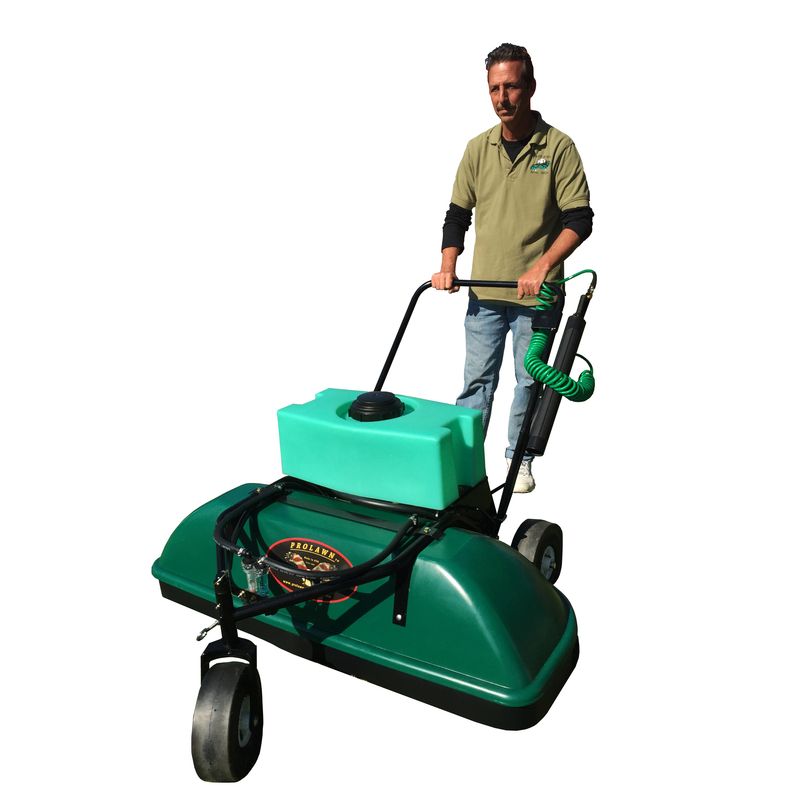 ProLawn's Walk Behind is a completely self-contained spraying system designed for smaller properties. The Walk Behind operates with a rechargeable battery and can last up to 3.5 hours. 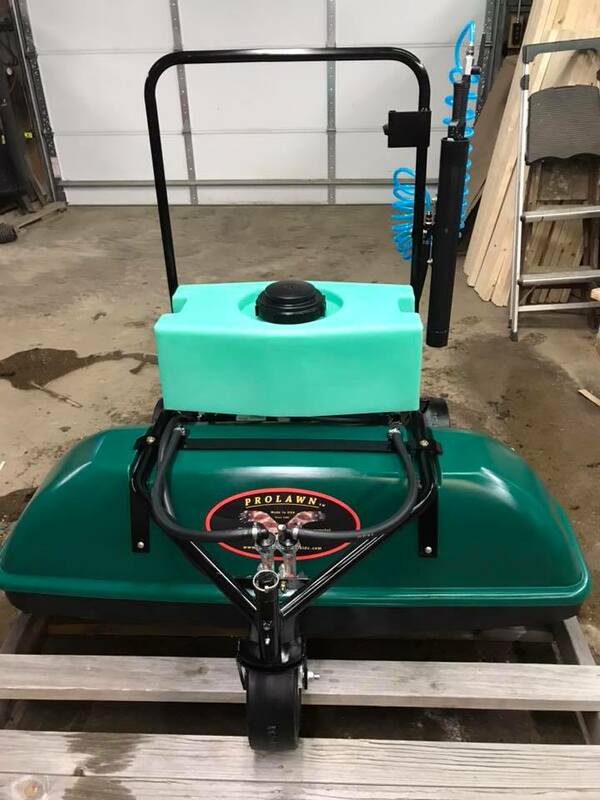 ProLawn's eight gallon tank can spray up to one acre and has easy adjustable handles for height variations. The Walk Behind has external lift handles, which allow easy lifting for transportation. 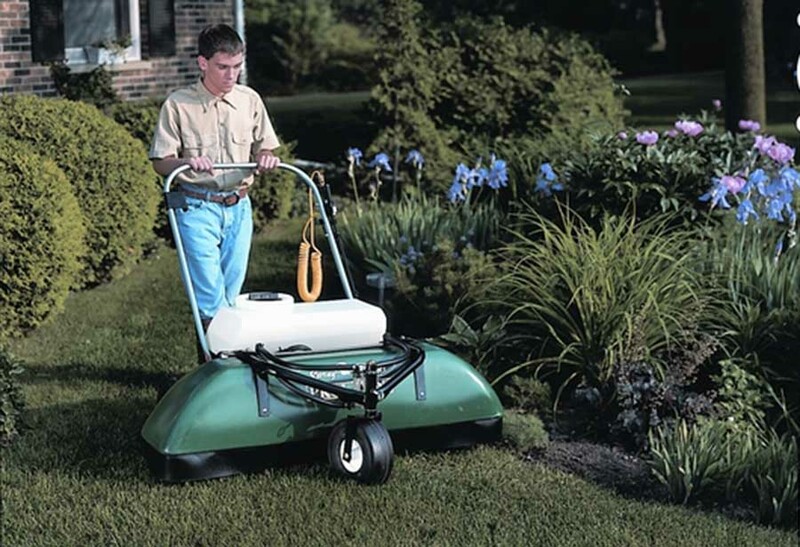 ProLawn's front wheel lock feature, allows to spray hillsides and easy access through narrow gateways. 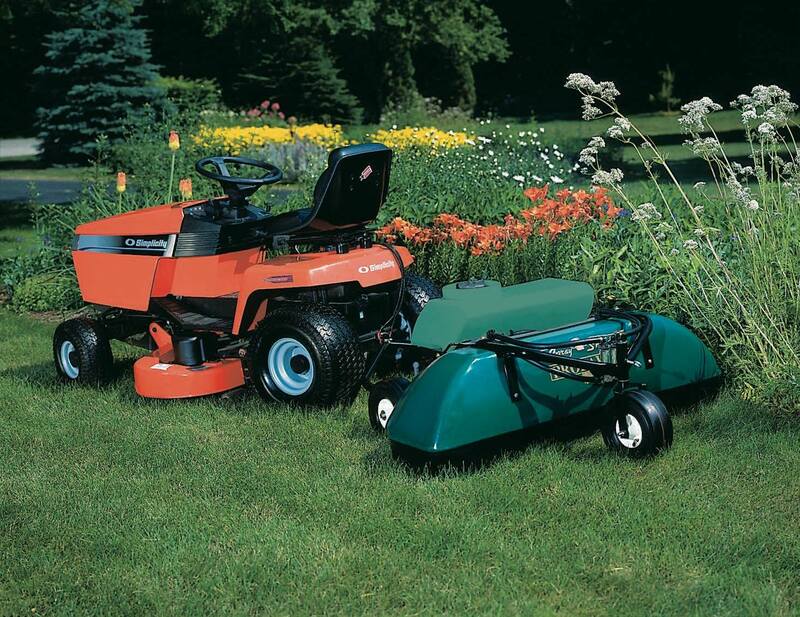 For larger properties, the operator can add on ProLawn's tow system which can be attached to most garden tractors. For added versatility, our tow package has an optional wiring harness and can be attached directly to the power mowers battery. Other options include a 20 foot coiled wand kit for spot spraying. See our YouTube Video for a demonstration.